The Stapleton Floral Design Team elves were busy busy busy over the long weekend getting all of the holiday decor up & ready for the start of the holiday season! We are all so happy & proud with the end result. 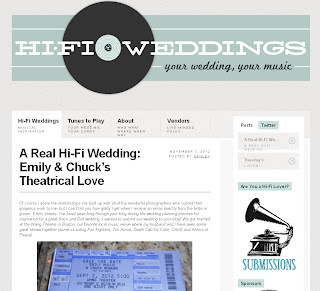 View our custom arrangements now available on our site, and get a jump on your holiday shopping. Roses, calla lilies, green & rustic hydrangea, kale, gerbera daisies, hypericum berries & cymbidium orchid blossoms make this a Thanksgiving Feast of flowers all nestled in angel vine in a clear glass vase. Enhance your Thanksgiving table this year with a composite of simple blossoms. 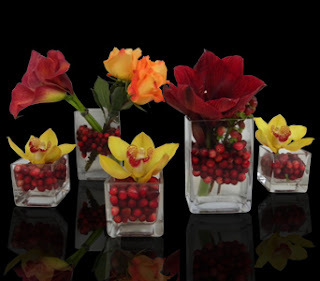 Cymbidium orchids, calla lilies, roses & amaryllis with cranberries in varying sized clear glass vases. Or place these vases in several rooms around your home for a cohesive look this holiday season. Thanksgiving is officially one week away! We don't know about you, but we are sure excited to see family & friends, eat some amazing food & give thanks for all of our fortunes this year. 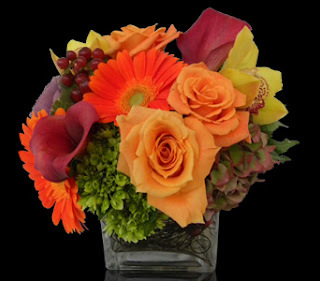 Take a look at some of our new custom arrangements just for Thanksgiving. 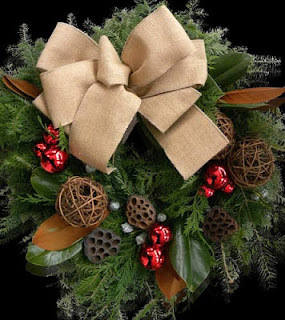 A great centerpiece idea, decor for the entire home, thank you gift for the wonderful host or just something to say thanks. 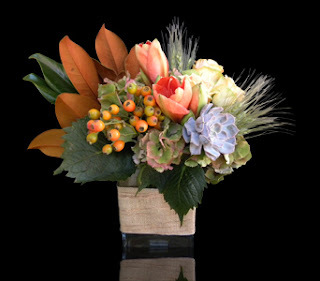 This warm textural design of amaryllis, roses, hydrangea, echeveria, rose hips, magnolia leaves and wisps of dried wheat are uniquely designed in a vase bound with burlap and sculpting wire. What a beautiful addition this piece would be to your Thanksgiving tablescape! 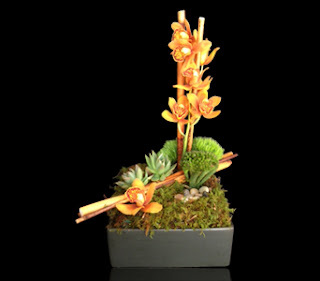 Be different this Thanksgiving with this simple yet elegant Ikebana design of miniature cymbidium orchids, bamboo & echeverias atop a layer of moss accented with polished pebbles. Not just a beautiful addition to the table, but a conversation piece as well! 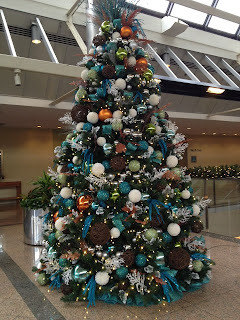 Has anyone else noticed that now that Halloween is over the Christmas commercials have started in full force? Lets not forget Thanksgiving! Good food, time with family & a whole lot to be thankful for this year after Hurricane Sandy paid us a visit. 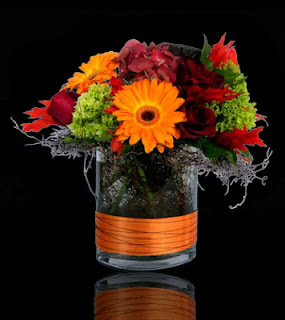 View all of our seasonal designs for a great centerpiece or thank you gift.